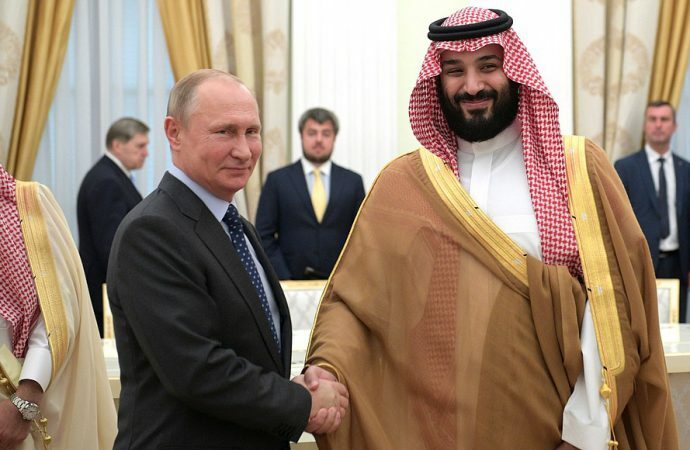 After Khashoggi: a Saudi pivot to Russia and China? The step change is designed both to ward off and hedge against further Western sanctions. Following the Western backlash against Saudi Arabia for the murder of the Saudi journalist and US resident Jamal Khashoggi, there are fears that Riyadh will substantially increase its ties with Moscow and Beijing. Ever since Franklin Roosevelt met Saudi King Abdul Aziz Ibn Saud in 1945, Riyadh has heavily factored in Washington’s foreign policy strategy. In exchange for providing the kingdom with security, Washington gained reliable access to Saudi oil and a relatively dependable political partner. However, under President Obama, US-Saudi ties faced what was perhaps their greatest challenge – even more significant than when fifteen of the nineteen 9/11 attackers were revealed to be Saudi citizens. The outbreak of the Arab Spring, which the Obama administration supported in some countries, heightened Riyadh’s sense of insecurity, as it experienced protests at home and saw long-term allies fall in Tunisia and Egypt. This shift was compounded an already less than desirable security environment, in which Iran had expanded its influence in the vacuum left by the 2003 US invasion took Iraq. Instead of doubling down on the Iranian threat as the Saudis would have preferred, Obama effectively reached out to Iran by ushering through the Joint Comprehensive Plan of Action (JCPOA) – commonly known as the ‘Iran deal’ – in July of 2015, which limited Tehran’s nuclear ambitions in exchange for wide-ranging sanctions relief. In response, the panicked House of Saud took a classical page from the geopolitical playbook and decided to solidify its pre-existing ties with Russia and China. This strategy was not solely about the Iran deal — by 2015 Russia and China were emerging as significant Middle Eastern players — but it certainly served the purpose of sending a clear signal to Washington that Saudi Arabia should not be taken for granted. In the same month that the Iran deal was concluded, Riyadh declared that it would invest $10 billion in Russia and move to acquire Russia S-400 missile systems. The latter declaration was particularly controversial because Washington fears that the S-400 will erode interoperability between allies as well as potentially allowing Moscow to gain access to sensitive military data. Further confirming an eastward shift, Riyadh hosted Chinese President Xi Jinping in January 2016. The two sides upgraded bilateral ties to the Comprehensive Strategic partnership level, as well as signing economic deals worth billions. Riyadh’s eastward outreach has continued under Trump’s presidency, both for economic reasons and because of fears that US commitment to the Middle East may be fading. However, after Trump announced arms deals supposedly worth $110 billion from Riyadh, there has been a general feeling that US-Saudi ties, at least at the leadership level, were at the healthiest point in decades. Any recalibration of US-Saudi ties was thrown into the tailspin by the murder of Washington Post contributor Jamal Khashoggi. 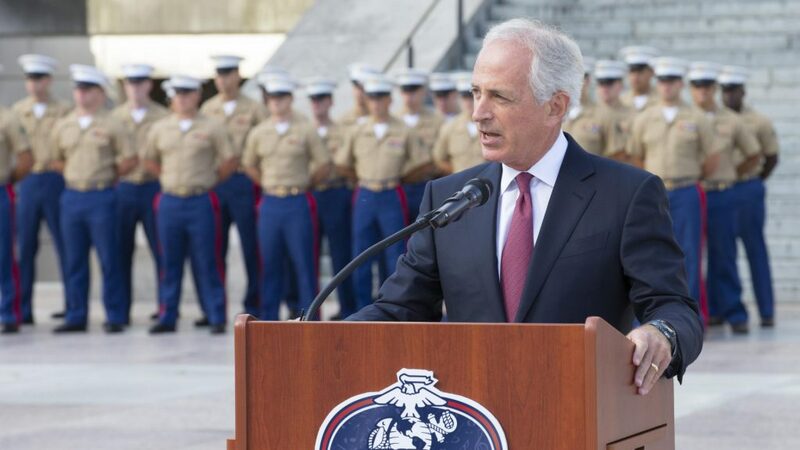 US Congressman like Senators Bob Corker and Lindsay Graham were at the forefront of global condemnation of the kingdom’s actions and demanded accountability. While Trump and National Security Adviser John Bolton contradicted the CIA’s finding that Saudi Crown Prince Mohammed Bin Salman (MBS) ordered the killing of Khashoggi, they are on the defensive. Public and congressional sentiment is strongly against Riyadh, and it was no coincidence that in November Washington opted to halt refuelling of Saudi planes fighting over Yemen. Not satisfied with this measure and White House sanctions on figures believed to have directly carried out the killing, the Senate unanimously passed a measure labelling MBS responsible for the killing. With the House now in Democratic hands, many in Congress are still pushing for further action. A recently reintroduced (and previously stalled) bill calls for the US to halt all support for Saudi operations in the controversial Yemen war. With Congress now seemingly united in the desire to punish Riyadh, and the possibility that Trump will be replaced in 2020 with a far less amenable president, MBS has seemingly seen the writing on the wall. For their part, Russia and China have capitalised on an opportunity to make inroads with a key Western ally, refusing to condemn the kingdom or MBS throughout the saga. While Western companies and officials pulled out of October’s ‘Davos in the Desert’ investment conference held shortly after Khashoggi’s killing, Russian and Chinese companies and delegations were welcomed with open arms. Weeks later at the G20 conference, warm welcomes for MBS by Presidents Putin and Xi saved him from pariah status. Recently, it even emerged that Riyadh is building ballistic missiles, quite possibly with Chinese assistance. HOW FAR WILL SAUDI ARABIA’S EASTWARD PIVOT GO? 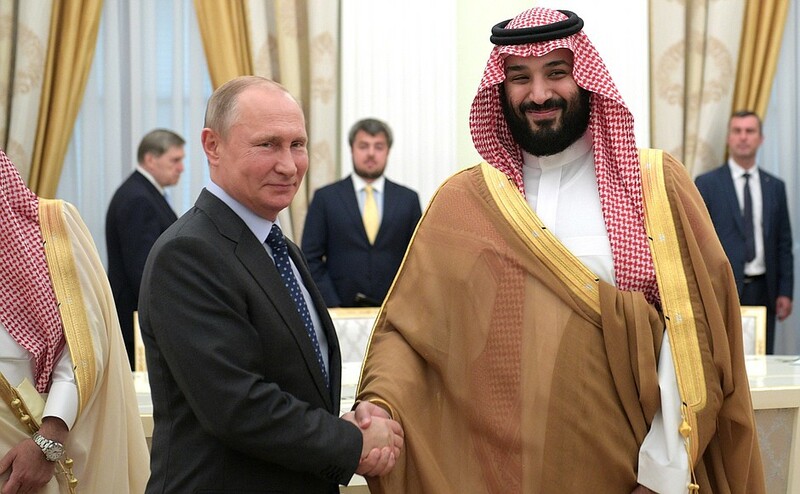 Despite the powerful symbolism of China and Russia standing by MBS in hard times, there are limits as to how far Riyadh will be able or willing to pivot eastward. Rather than a total strategic reorientation, overtures eastward will focus on common economic and political interests in the changing Middle East, while pointedly warning Washington against punishing the kingdom further. Saudi reliance on the US is most profound in the area of security, and US bases in the region remain vital for Riyadh’s defence. The Saudi military’s lacklustre performance in Yemen and the regularity that Yemen’s Houthi rebels fire missiles towards Riyadh highlight the kingdom’s security deficits. Russia and China are unlikely to take over the mantle anytime soon. Both countries retain close military ties with arch-rival Iran, making them awkward security partners for Riyadh. This is especially true for Russia, which has cooperated extensively with Tehran in Syria. China has no desire to take on the region’s complex security and political challenges and is much more comfortable remaining relatively neutral. Indeed, China’s key aims in the region — securing a reliable supply of oil and getting countries onboard its global infrastructure project, the Belt and Road Initiative (BRI) — seem to demand neutrality. 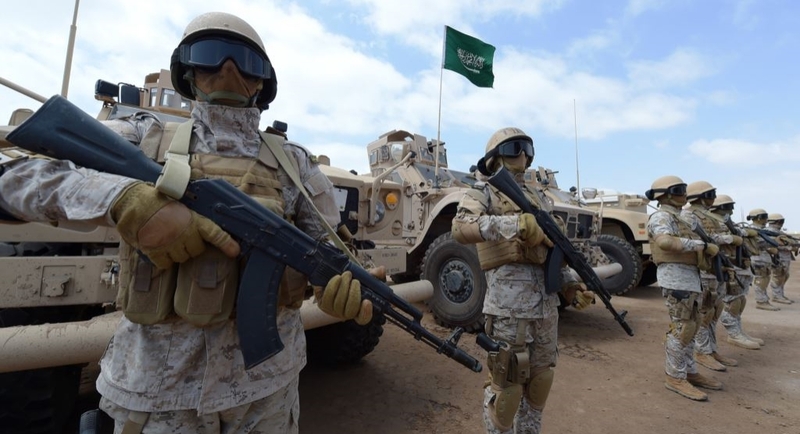 In the realm of arms, it will also be difficult for Riyadh to replace its Western suppliers. Long-term reliance on Western weapons exports means that any new Chinese and Russian purchases will not easily integrate with pre-existing systems. Even economically, there will be limits on how far Saudi Arabia will pivot away from the West. This is especially true when it comes to China. Despite hoping to benefit from BRI, Riyadh is still reluctant to embrace the project. The Saudis fear that excessive integration with China could lead to a loss of sovereignty. There are also concerns that BRI will significantly increase Iran’s regional footprint given its key role in BRI’s vision of linking the Middle East with Central Asia. Moreover, Western companies will continue to play a key role in the kingdom’s development. Treading lightly, US firms like Halliburton and Baker Hughes GE still attended the October investment conference, signing several MOUs with Saudi energy giant Aramco. All of this being said, the Saudis still have several options to warn the US against drifting away from the partnership. For example, concerning the kingdom’s incipient nuclear program, if Congress fails to sign a favourable ‘123 agreement’ allowing nuclear cooperation and export between the two nations, Riyadh could easily look to Russia and China. Riyadh has already borrowed funds in yuan, and as a key member of OPEC, could expedite China’s global currency ambitions by accepting oil payments in yuan. Although stalled, talks on Riyadh’s acquisition of the S-400 are still ongoing. Of course, Riyadh’s willingness to undertake these measures — likely to be perceived as highly provocative in Washington — will depend on how Congress decides to punish the kingdom over the Khashoggi affair. Given that maintaining low oil prices, keeping Iran’s regional behaviour in check and supporting Israel – which sees MBS as a key figure in normalising Arab-Israeli relations – are relatively uncontroversial priorities in Washington, it is unlikely that Congress will go too far in alienating Riyadh. Therefore, expect Riyadh to mostly remain within the Western orbit while continuing to cultivate relatively modest ties with China and Russia to hedge against further Western sanctions.